Pain Treatment could be in the form of medication, outpatient procedures or interventional day care procedures, physiotherapy etc. The interventional Procedures are performed under X-ray or CT guidance by highly specialized pain specialist doctors. Maneuvering through Pune traffic as we all know is a pain. But when the patient is in pain, it could get overwhelming. 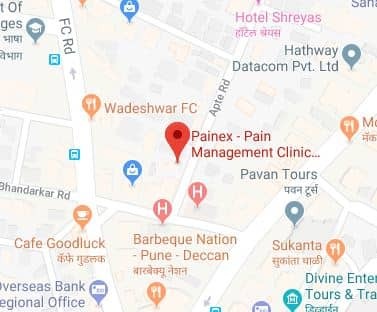 Considering this, Painex offers the unique facility of Pain Relief at your doorstep!!. Our Pain Management Specialists provide home visits for patients in extreme pain or those who have a limitation to travel viz cancer patients, very old patients, patients with stroke or paralysis etc. Pain encroaches on every aspect of the life of the patient. Pain Management is now rightly receiving the status of super-specialty. Our doctors have completed intense training in the field of both cancer and non cancer pain management and are one of the very few subject experts available in Pune. Pain is multi-faceted, so should be its treatment. Super-specialist consultation, Physiotherapy, Nutrition, Yoga/Pilates...we have whatever it takes to get rid of your pain, all under one roof!! 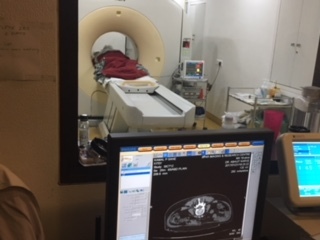 Our doctors have completed intense training in the field of both cancer pain and non cancer pain management and are one of the very few pain specialist doctors available in Pune. 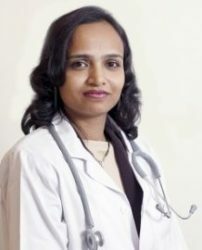 Dr Gayatri has done her post graduation in Anaesthesiology from Pune, followed by training in Chronic Pain Management from Daradiya Pain Clinic, Kolkata. 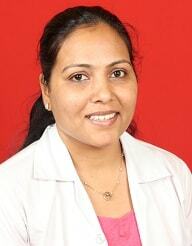 She is a consultant interventional Pain Physician at Painex Pain Management Clinic, Pune. She is skillful in ultrasonographic, fluoroscopy guided non-surgical interventional pain management. She emphasizes on the best treatment modalities for pain relief for cancer as well as non cancer patients. Her compassionate counseling and definitive plan for pain treatment leads to comfortable and pain free lives. Dr Kashinath Bangar has done his post graduation from Pune and superspecialty fellowship in pain and palliative care from Kolkata. 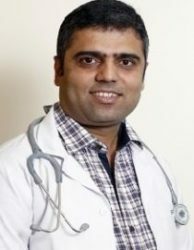 His expertise in interventional pain management using ultrasonography, fluoroscopy and CT scan along with a special interest in cancer pain and end of life care makes our organization unique. Due to his empathetic approach towards patients and relatives, he often successfully converts miserable, painful faces into comfortable and happy ones. 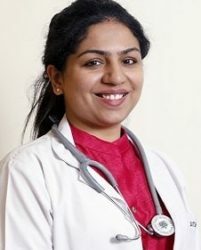 Dr Varsha Kurhade has completed her post graduation in Anesthesiology, followed by training in chronic pain from Tata Memorial Hospital, Mumbai, and a fellowship in interventional pain management from Daradia Pain Clinic, Kolkata. She has been actively and effectively managing cancer and non cancer pain. She firmly believes in pain management by a multimodal approach, ranging from medical management, behavioral therapy as well as interventions by nerve blocks. Her goal is to minimize suffering and provide relief to patients by all possible means. Pain could occur because of a wide variety of problems. At Painex, after a consultation with our pain specialist and a detailed evaluation, we try to get to know the exact cause of your pain, we locate your pain generator. 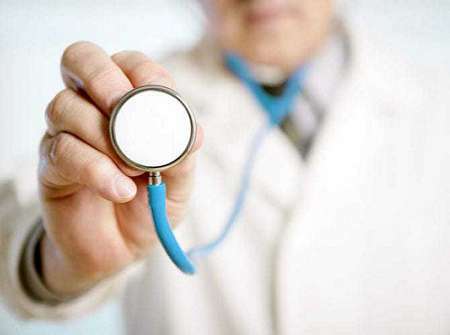 An appropriate treatment plan will then be formulated, customized to your problem. Pain Treatment could be in the form of medication, lifestyle changes, physical therapy, outpatient procedures or interventional day care procedures. Procedures are performed under X-ray or CT guidance by highly specialized pain doctors. Maneuvering through Pune traffic as we all know is a pain. But when the patient is in pain, it could get overwhelming. Considering this, Painex offers the unique facility of Pain Relief at your doorstep!!. I had a lot of shoulder pain since my daughters wedding in 2013. Underwent a lot of investigations, tried everything from physiotherapy to yoga and even an injection into my joint. Finally Painex helped me get rid of my debilitating pain. I am 34 yrs old, but after fever, I had terrible joint pains and felt like a 90 year old. Dr. Nivedita diagnosed the issue and started my treatment. Within a couple of weeks I was back to normal. Thanks to proper diagnosis, medicine and exercise I got freedom from those terrible pains !!! Having suffered with L4-L5-S1 Slipped (Prolapsed) Disc for several weeks, I had almost given up. All the other 'experts' had failed to find out the problem, Dr Bangar, Dr. Nivedita and Dr. Varsha (Painex Team) found the problem straight away and not only that they managed to fix it in several sessions. I now go for check up once a month, I have no pain, I take no painkillers and am a much happier man. These pain specialist doctors are amazing. Diagnosis and Treatment:- 1) L4-L5-S1 Slipped (Prolapsed) Disc :- Epidural steroid injection 2) Selective nerve root block:- Transforaminal epidural steroid injection 3) Pain in Sciatic nerve :- Caudal Epidural adhesiolysis +Right SIJ injection +Right GT Injection. Suggestion:- Suggested Physiotherapy IFT and exercise. I must mention Dr. Varsha took own initiative and suggested the physiotherapy center (PhysioActive) for further rehabilitation. Recommendation:- If you are looking for Non-Surgical Treatment , you must visit the clinic to get the clear root cause. I have a wrist pain (right) since I was 14 - I am 36 now. The pain used to occur on and off and few months back, it got worst. You will not believe but I was unable to lift my kid nor a 1 liter bottle with my right hand. Since it was a working hand, I thought it was over for me until I met Dr. Nivedita Page. She understood my pain history, my daily routine and without much medication she advised me some dos and donts. I followed the instructions religiously and here I am perfectly fit and fine. The pain has vanished now. I would highly recommend Painex for the benefit of all. Thanks ! !